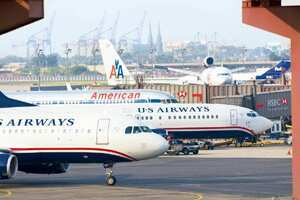 Chicago: A World War II-era air traffic network that often forces planes to take longer, zigzagging routes is costing US airlines billions of dollars in wasted fuel while an upgrade to a satellite-based system has languished in the planning stages for more than a decade. The $35 billion (Rs1.67 trillion) plan would replace the current radar system with a kind of Global Positioning System (GPS) technology that has become commonplace in cars and cellphones. Supporters say it would triple air traffic capacity, reduce delays by at least half, improve safety and curb greenhouse gas emissions. “The United States has been to the moon and back. I think the public deserves that same level of effort for our national airspace system," Robert Sturgell, the acting administrator of the Federal Aviation Administration (FAA), said in a recent interview. The planned satellite-driven network, dubbed NextGen, would save fuel by ditching radar technology that is more than 50 years old and enables GPS-equipped planes to fly the shortest route between two points: a straight line. NextGen could save airlines at least 12.5 billion litres of fuel a year—or more than $10 billion annually by 2025, based on today’s fuel prices, according to FAA projections obtained by AP. Currently, jetliners move in single-file lines along narrow highways in the sky marked by radio beacons. Many of the routes gently zigzag from one beacon to the next, sometimes forcing cross-country flights to follow sweeping arcs and waste hundreds of litres of fuel. It’s “the equivalent of using an electric typewriter when others are using computers", said David Castelveter, a spokesman for the Air Transportation Association. “It’s a huge, huge drag on productivity." Some private and commercial aircraft are already equipped with GPS devices that pilots use to determine their position, but the NextGen system would dramatically expand use of the technology by creating a nationwide GPS network for air traffic. Building the network involves gradually putting together the new system while still relying on radar for day-to-day operations. Gerald Dillingham, director of civil aviation issues at the US Government Accountability Office, likened the process “to changing a tyre on a car that’s going 60 miles (97km) an hour". Hank Krakowski, FAA’s head of the air traffic system, called it “one of the largest project management challenges the federal government has had since we put somebody on the moon". Airports also have to make improvements to accommodate the expected increase in air traffic. US airlines have struggled in recent years, in part because of rising fuel prices. Ten airlines have shut down and others are facing bankruptcy. Their financial troubles mean less-frequent flights and fewer amenities for air travellers, who must pay more for tickets, luggage, drinks, even pillows. A report on NextGen released last month by the government accountability office said major problems remained, including a lack of detail about just how the system would work and a shortage of the kind of highly skilled managers needed to see the project through. Critics have said the Bush administration, while expressing support for a satellite-based system, never pushed hard enough for it. “The next president needs to make the NextGen initiative a national priority and ensure that it is given the resources, management attention and sense of urgency that it warrants," said representative Bart Gordon, a Democrat from Tennessee and chairman of the House science and technology committee. Airlines are expected to contribute $15 billion towards the $35 billion project, and they must equip their fleets with GPS at a cost of more than $200,000 per plane. But most carriers—which are otherwise enthusiastic about NextGen—are reluctant to retrofit planes years, maybe decades, before the satellite network is fully operational. “It’s like you buying a new car and the dealer saying, ‘How would you like to buy this nifty GPS technology—but it won’t be available in your area for years,’" Air Transportation Association’s Castelveter said. The NextGen system could offer airlines a 10% savings in fuel costs per year. If the network were in place today, it would essentially pay for itself in just seven years. GPS is already used in many parts of the aviation world. Many European countries, China and even Mongolia have established some GPS networks or plan to do so soon. NextGen would also help airliners fly, land and take-off closer together, minimizing delays. Even though the technology would allow more planes into the sky, FAA and pilots agree that the technology would actually reduce the risk of accidents such as midair collisions and runway incursions. To FAA’s consternation, Congress has failed to pass a Bill giving the agency permission to dip into the nation’s aviation trust fund to spend nearly $6 billion on NextGen over the next five years. Robert Poole, an aviation expert with the free market-oriented Reason Foundation, said some legislators are reluctant to vote for a satellite system that would eliminate hundreds of jobs at radar stations in their districts. Meanwhile, the air traffic controllers’ union, which is often at odds with FAA brass over labour issues, accuses the agency of seeing the whiz-bang satellite technology as a cure-all for aviation problems. It says some of the millions of dollars earmarked for NextGen would be better spent maintaining the current system, citing an FAA computer glitch in August that delayed 650 flights at airports from Orlando to Chicago.